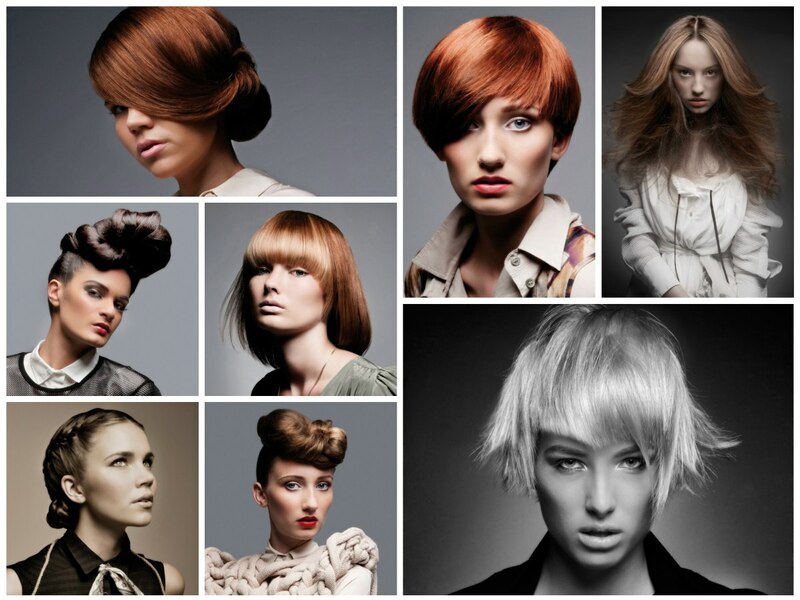 This awe inspiring collection of hairstyles by fab Intercoiffure Mondial celebrates the beauty of their home country of New Zealand and the also the strenght, beauty and spirit of the women who first settled it. 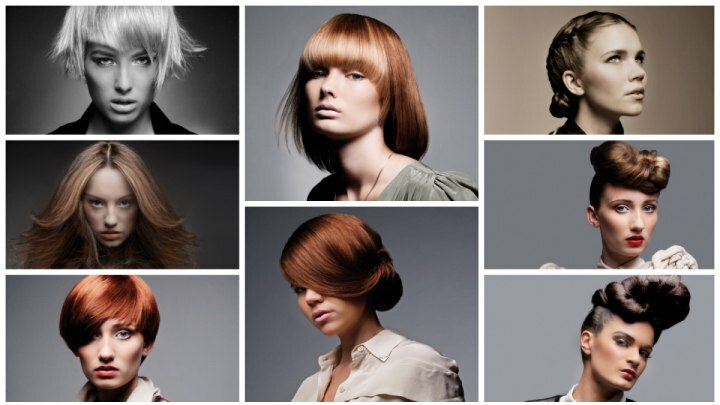 The shapes of the short, long and high up styles are bold and modern, but have a distinct root in history which is artfully played upon, especially in the upstyles with their twists, braids or slung over and around sections. Metallic hues are dominant in the palette of colors and we are treated to copper, gold silver and bronze eyecandy. All of those colors capture the power of nature and combine it with avant-garde design to a trendy statement of feminine power. 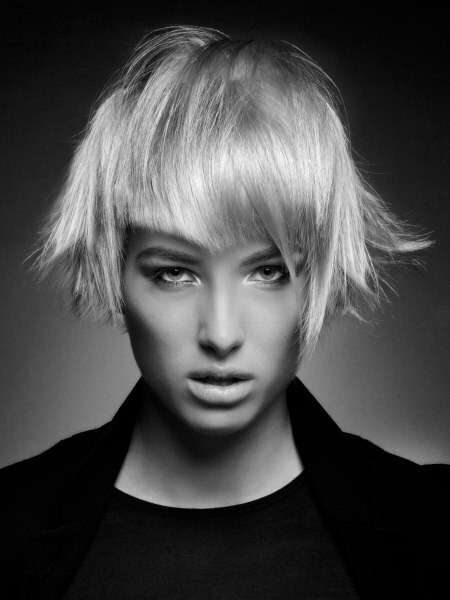 This power haircut for strong women comes with a lot of texture on the edges of the short bob. The theme of sharp angles and unusual lines continues in the fringe which is cut in a triangular shape actually following the shape of her eyebrows about half an inch above them. The sides are flipped out, frontwards or just into random directions causing a big stir and sharp points. With the platinum color comes pure perfection and another boost of energy. The hair is extremely shiny and with its shape it reminds almost of fibres made of glass, however it does not lack in the sensual department either. There was a time when women had really, really big hair. It was just a few decades ago in the 1980s and we just cannot let go of it. With this high volume look, Intercoiffure blesses us with a sweet memory taken to the future and made the already big hair, even bigger. The exaggerated lines and textures are too beautiful to pass up. 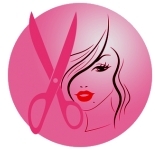 All starts with a center part from which the hair falls evenly to both sides. Cut with a tapered line and long layers it can be feathered out to its glamorous and flamboyant maximum, giving her the air of a fashion queen. The color is taken right out of nature as well with an earthy bronze tone, interspersed with silver streaks that remind of the gentle mists rising from the ground on cool nights and early mornings. Go red and let it burn! Don't turn off the heat and enjoy a flaming copper hair color on this adorable short haircut. 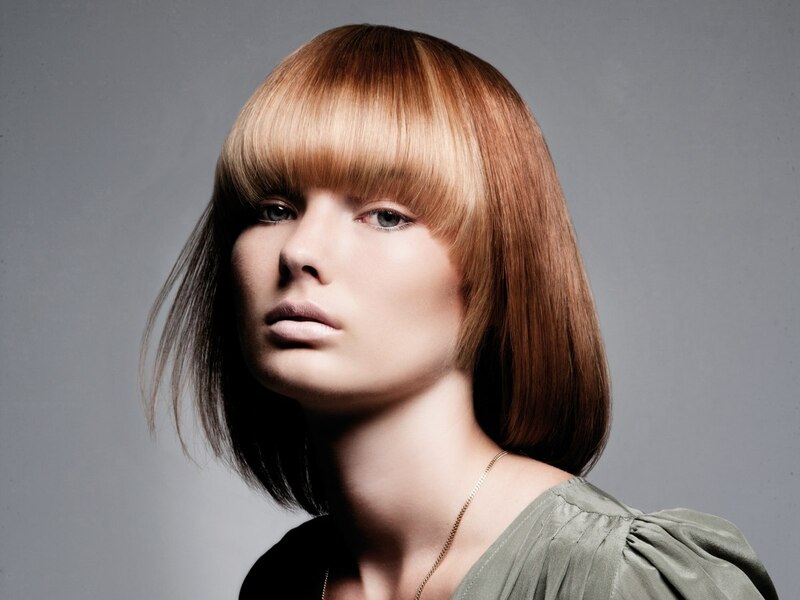 The neat outline is only interrupted by a touch of texture in the short part of the bangs. The rest of it lengthens dramatically and almost covers one of her eyes. A little assymetry never hurts and here it is used in a very subtle way. 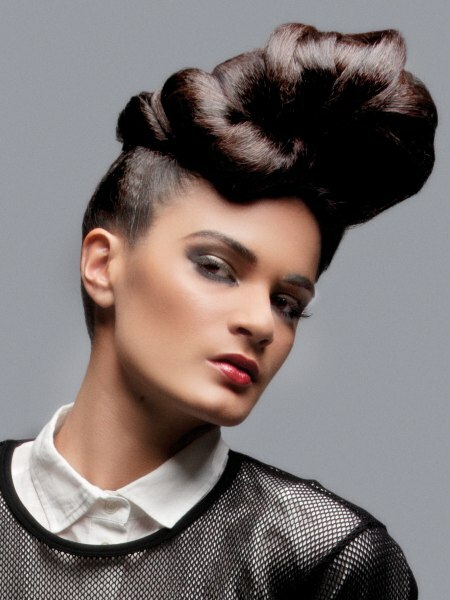 This hairstyle is perfect for the sporty and active woman who not only flirts with fashion but embraces it with passion. Two evergreen favorites of hairfashion where brought together and the outcome is this stylish and elegant, yet extravagant hairstyle. 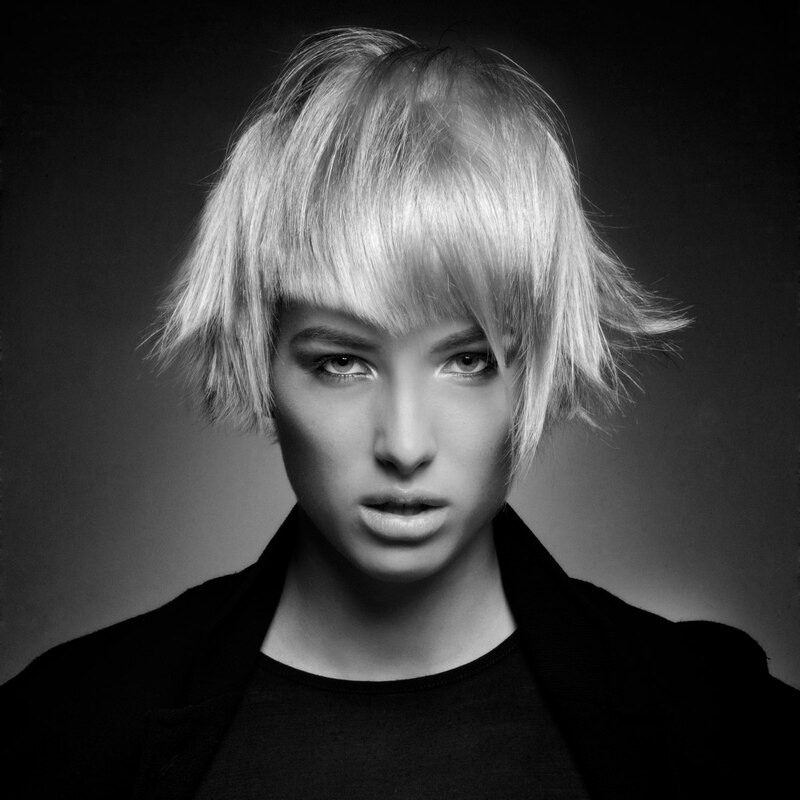 A medium long bob and the fine tapered line of a classic round cut make a perfect match. 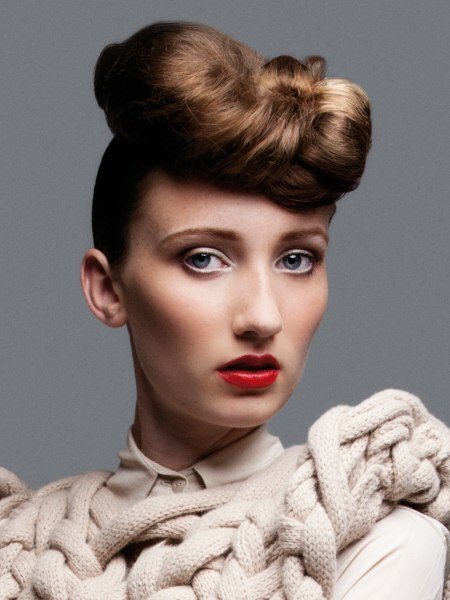 Styled with a big inward curve this look has an ethereal and even futuristic appeal, thus connecting the past, the present and the future in one genius design of hair. The color of course has its own finesse and shines in a bronze and light golden blonde. The latter is mixed in strand by strand into the front section and also brings more attention to its intricate shape. For long and straight hair this is a great way to tame it and to come out with an elegant, radiant and very unusual updo that revels in its simplicity but bedazzles with is finely designed lines. The hair was taken to one side, after being brushed super smooth and treated with a smoothing lotion, then a skilled looping and knotting technique takes part of the hair to the other side where it lifts up the long and loose curve before it it tugged back in and under for a ravishing and at second sight even deliciously confusing effect. Gwen Stefani made this look famous once again and since then we have No Doubt that there is nothing demure about the rows of French braids weaved into the hair from the front to the back leaving a straight center part between them. At the nape the ends of the braids are tugged in and pinned. This rosy cheeked country girl is setting the trend for international fashionistas who like the subtle drama and the not-so-much innocence all in one dark blonde look. The high art of the knot is inspired not only by sailors but also by artistic weaving and knitting techniques. Thick strands of hair were wound around each other after a ponytail was formed high on the crown. The resulting creation sits above her forehead in a sassy little angle and reminds of a small hat that ladies wore in the earlier part of the last century. 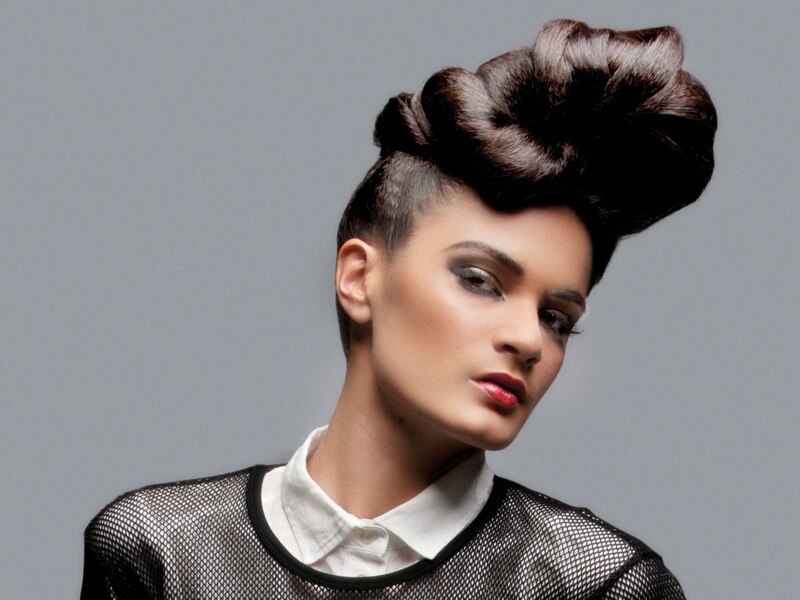 It is a quiff, but what an adventurous one! This is not for the shy ones and the high anxiety affected. If you dare, go big and higher than everyone else. With all of the flamboyance of the shape there is still a touch of pioneer spirit and rustic charme in the knotted braid. What makes it special is its size and its location. 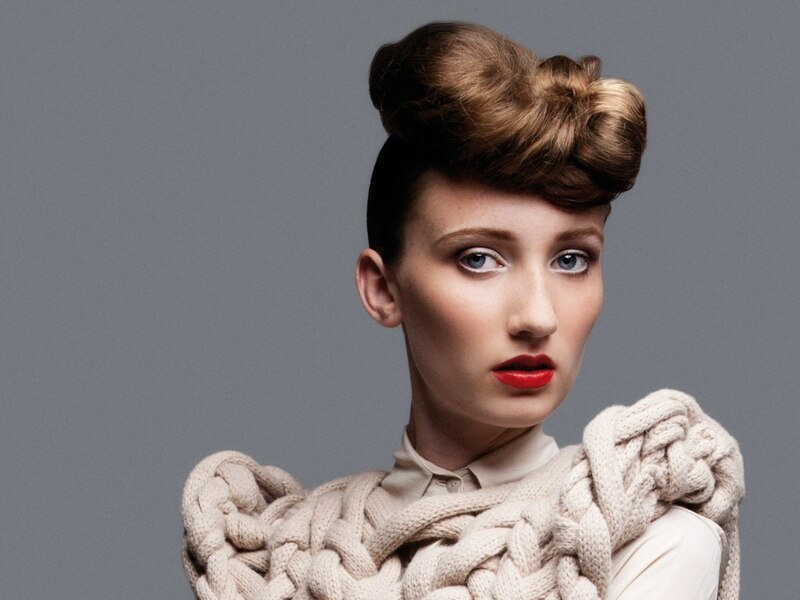 The hair was again gathered at the crown and then twisted and knotted to this amazing sculpture.